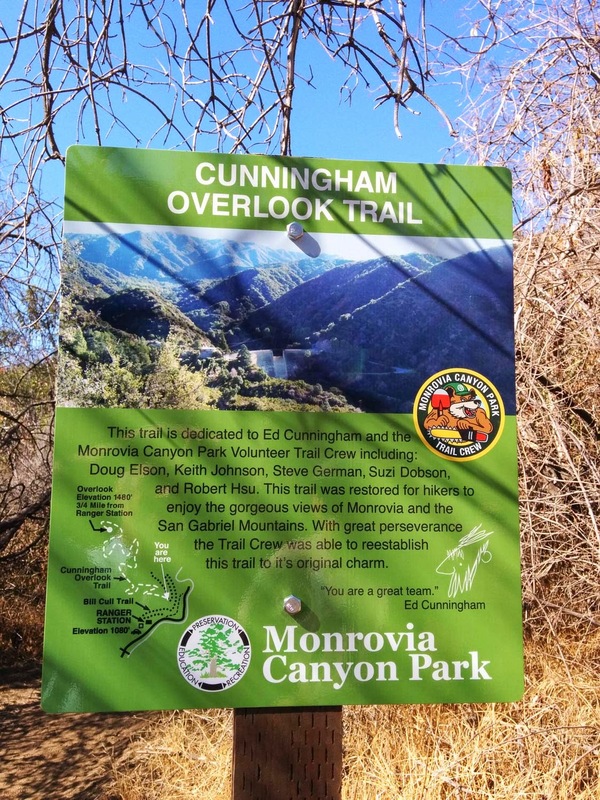 The newest trail in Monrovia Canyon Park was renamed the Cunningham Overlook Trail and dedicated today to our volunteer trail crew boss Ed Cunningham. If ever there was a person deserving of a trail named after him, it's Ed. Canyon Park would not be the same, not by a long shot, without him. I don't think there is anything that has happened in the park in years that he hasn't been a significant part of. 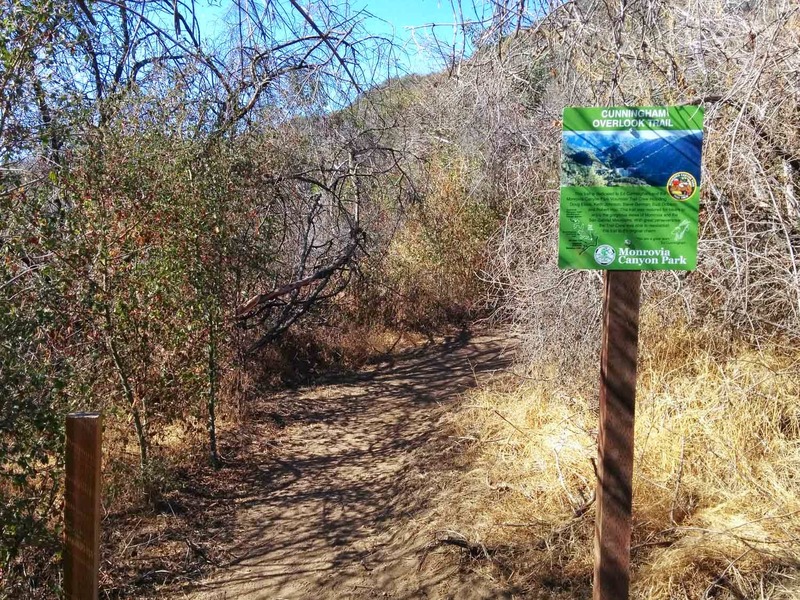 Trail building, trail maintenance, signs, brochures, self-guided trails, haunted hikes, various repairs, outdoor education programs, training, mischief, and on and on. As hard as we all try, we have yet to find something that he can't do. The hours and dedication given to the park are amazing. There have been days when it's over 100 degrees out or it starts to rain and I'll ask if we're really going out on the trail. He just laughs. I should know better by now. There are many times I can't keep up with him. Week after week, he goes above and beyond. Ed has earned this honor. Congratulations to him. I was up in the canyon yesterday and discovered one can buy yearly passes. Something I plan on doing.